Please note that the names and details have been changed to protect the silly. Twelve kids gather around my 3D printer. Their fingers and noses are pressed against the plexiglass. From a distance, it looks like a blue fish is being conjured out of nothing. Up close, the nozzle deposits hair-thin layers of molten plastic. This is happening at about the speed of drying paint, but they’re transfixed nonetheless. When the kids ask what they can print, I say anything they want. A few light up; the object of their desire is instantly visualized. Others let their jaws drop, too stunned by the rush of power to think clearly. And then, of course, there are the limit-testers. I say sure, why not? The class pauses, furrowing their brows and looking at me for the first time. A couple of them even believe me for a moment. But then they start to grapple with the physics of it and realize I’m just letting them think it through. I’m going to be one of those adults and this is going to be one of those classes where the teacher keeps them on their toes. They sulk briefly at the lack of resistance, but quickly recalibrate their requests. They think I’m just doing it to keep them in check, but wish-fulfillment is a powerful thought experiment. Hypothesizing about what could go wrong takes paranoia, but imagining best-case scenarios takes vision. As a kid, I had a teacher who called it “the magic wand.” The power is yours: what would you do with it? In the classroom, the kids create 3D designs. They all face away from me, working on standard-issue black laptops. From where I stand, I can see their dreams take form… for the most part. I spot Solitaire on one of the screens, which is instantly alt-tabbed when I approach. Solitaire Boy is on the small side for fourth grade, and all business. I ask him how it’s going. He says fine, he’s just not sure what to make yet. There’s an obvious subtext to our conversation: he’s promising to pretend to work if I promise to look the other way. I suggest he take a break to look around at what the other kids are doing for inspiration, and then I let him be. I help out some of the other children with the topography of their dream-things, giving Solitaire Boy a few minutes to himself. When I come back, he’s not at his chair, but leaning over the shoulder of one of the other children. There’s a small galaxy taking shape on his screen. “What’s he making?” Solitaire Boy asks me. “What are you making?” I ask Galaxy Boy. Solitaire looks downright offended. He asks how you can make something you want without even knowing what you’re making. Galaxy just giggles. He presses a few keys and all the objects vanish. By the end of class there is a menagerie of animals, videogame characters, and abstract art. When I come to Solitaire’s screen, I see he’s built a tiny ladder. I ask him if it’s what he’d like to print, and he says yes, it’ll be useful for his pet hamster. Solitaire listens with glee as I explain to Galaxy that he cannot, in fact, print something that’s 9.99x10⁹ centimeters tall and also invisible. But Galaxy just smirks, deletes everything he’s made so far, and calls up a plain, simple sphere. He hovers over the radius number entry and looks up at me. K. A. Hamilton is a current degree candidate at The Mountainview Low Residency MFA in Fiction and Nonfiction. K.A. Hamilton-- If point of view is the frame of a story, House of Leaves is a kaleidoscopic masterpiece. There is no central hero, but a chorus of multiple candidates vying for the role in a dark and shifting world. The effect is a book that will haunt you well after you've put it down. At its core, House of Leaves blends the unlikely bedfellows of horror and romance, as a couple attempts to repair their marriage under increasingly terrifying circumstances. This is wrapped in layers of metafiction, footnotes, and secret codes. Of course, no review of this book would be complete without mention of its layout. Central to the story is a terrible, endless labyrinth and an intangible monster that are reflected in the chaotic spread of words across the page. Danielewski engages not just the five senses, but a sense of time and space as well. House of Leaves is ergodic literature at its finest: genuine, heartbreaking, and infectious. In an age of ebooks, there are few novels I own a physical copy of, much less two. But I keep an extra around for lending, should anyone else want to lose themselves inside the House. Jemiscoe Chambers-Black-- I have been looking for books that contained similar themes to my writing in hopes that it might improve my craft, and stumbled upon Richard Price’s Samaritan by accident. In the vein of episodic police procedurals, Samaritan encompasses characters from all walks of life crammed together on the page, surrounding an amplified criminal case. The novel follows Ray Mitchel, an ex-English high school teacher, ex-cab driver, and ex-screenwriter, who has returned to the Dempsey, New Jersey projects where he grew up. But Ray returns as a wealthy man, and his altruism leads him to the hospital’s intensive care unit with a massive brain injury after being “tuned-up.” As his childhood friend, Detective Nerese “Tweetie” Ammons, tries to solve Ray’s case on the "who did it" and "why," past secrets are revealed. What’s most intriguing about this novel is that the most painful moments, and the most insightful pieces of these characters’ pasts, are all done through dialogue. Samaritan has a magical quality, mixing poetic figurative language with an urban tongue that I got sucked into immediately. 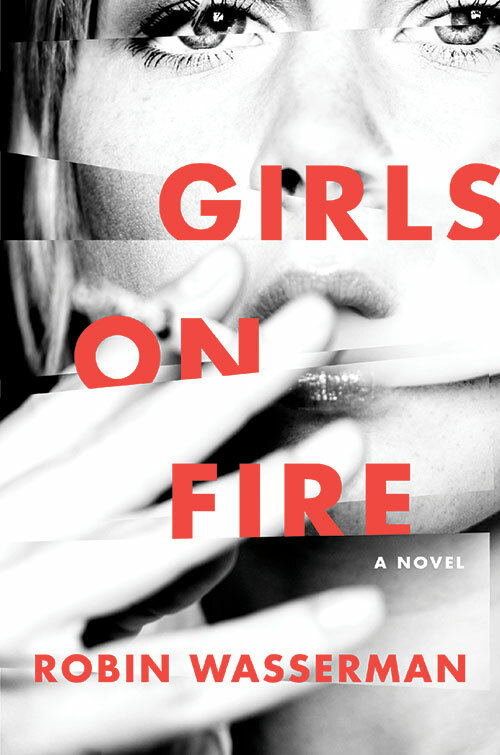 K. A. Hamilton-- Robin Wasserman’s Girls on Fire is the story of teenagers struggling to reclaim their identities from the grips of small town life. The central character is at once a daughter, an outcast, and a rebel, and impossible to refer to by name without taking sides. She is “Hannah,” “Dex,” or “Hannah Dexter,” depending on who you ask, and the prime battleground on which Kurt Cobain-worshipping Lacey and popular Everygirl Nikki wage their intimate culture war. 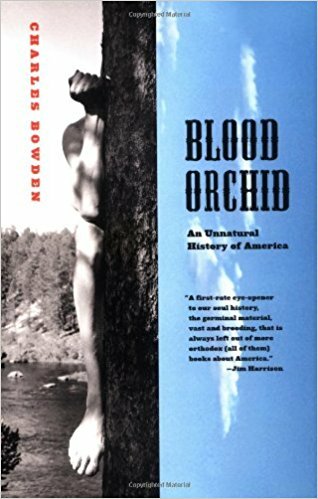 Jemiscoe Chambers-Black-- We’ve all heard that “those who do not learn history are doomed to repeat it,” and my literary mind feels we should turn to literature for this history. There is no better book for that than The Watsons Go to Birmingham – 1963 by Christopher Paul Curtis. It follows the Watsons, who make their way from Flint, Michigan to Birmingham, Alabama because their son has been getting into trouble, and his parents think staying with his grandmother may be the change he needs. But 1963 is a turbulent time in the South, and Curtis weaves fiction with the historical event of the September 15th, 16th Street Baptist Church bombing. The event in this book is almost 55 years old, but racial tension still exists, and places that should feel sacred or safe, are instead places where children are met with fear, hate, and violence. If you’re a parent, read this with your children. If you’re a teacher, share this with your students. If you’re neither, but a human, read it anyway. Start the conversation that Curtis sparked: one that asks how we can change and make sure that violence is not so easily accessible, especially when our children are the target. The other day, a colleague asked if I could give feedback on some of his writing. I said I'd be honored, and meant it; solicitation of opinion means a lot to me, especially from other writers. But then he became uncharacteristically quiet, muttering something about characters.... voice… point of view... and how he'd really like to get my opinion of it as a woman. If you're a female who is even vaguely associated with books, you've probably been there. It's a question oft-accompanied by a hesitant tone and downturned (but eager) eyes. I think most writers intuit it as an inherently impolite query, and they're not wrong. It's a little like inviting someone out for a beer, or a first date, or any other activity where interpersonal boundaries are meant to come down. Beta-reading is a situation that requires vulnerability of both the ask-er and the ask-ee. Why? Because it’s a request for review of content, not craft, which can reveal elephant-sized rifts in worldview. Creative writers know this all too well, and have developed an entire pedagogy to avoid being overly-direct. Instructors are taught to employ the “sandwich method,” swaddling criticism in twice the compliments. In workshops, we blind ourselves to everything but technique – and rightfully so. An honest assessment of “likeability” could only end in bloodshed. Yet sugar-coating the female (or any other target group) experience is counter-productive, for both author and reviewer. So what can you do when asked? Options include a) saying “no,” b) sidestepping and defaulting to craft, or c) changing your number and never showing your face in town again. But about option d): “yes?” Then it’s time to get personal. But what if you’re the one soliciting this sort of feedback? You’re reading this blog post and now it all just seems so complicated and awkward… should you even ask? My answer is an emphatic yes. However, I have some equally-urgent disclaimers for you. First, consider who you’re asking. Do they seem comfortable talking about their beliefs in your company? Are they a peer on even footing, who is capable of declining? Do you think you’d have fun getting a beer together? If the answer to all of these is “yes,” then you have yourself a candidate. But the work doesn’t end there. The next step is listening. When you received feedback, keep this in mind: if your beta-reader says things that are difficult to hear, they almost certainly know it and are trusting you not to freak out. Congrats, you’re on your way to a beautiful friendship. If something is hard to take and you absolutely must say something to the contrary… don’t. Bite your tongue and say “thank you” instead. Later, after you’ve had some time to think about it, find a way to phrase it as an open question (bonus points if you research the answer on your own time). You may be surprised at what you learn. 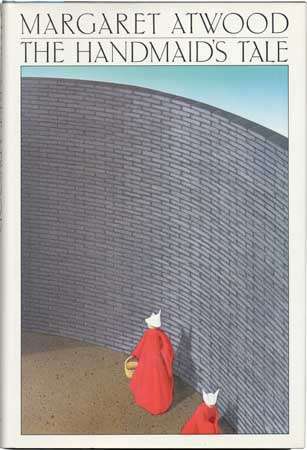 Art imitates life, and there is much in the world to be critical of. Your beta-reader does not have the luxury of compartmentalizing literature and day-to-day experience, because the two often perpetuate one another. Whatever they say, don’t take it personally. But do try to internalize it. I wrote three full pages of feedback for my colleague: two “as a writer” and one “as a woman.” The more I reviewed according to my experiences, the closer I got to revealing myself not just as a woman, but as… me. I sent it on a Sunday, crossing my fingers that it wouldn’t make Monday awkward. Spoiler alert: it didn’t. But we’re opting for coffee instead of beer. Arun Chittur-- I’m a longtime skeptic of historical fiction because of its reputation for overworked description, academic focus on timeline, and characters concerned more with events than their own lives. Anthony Doerr’s All The Light We Cannot See corrected my long-time drought. Doerr introduces readers to Marie-Laure, a young, blind French girl, stranded after her father falls into Nazi captivity, and Werner, a German orphan who finds friendship and structure in Hitler’s army; the book relies on the unlikely thread between these two ostensible enemies. Doerr’s structure invests readers in each character just long enough, making use of short, single scene-based chapters to bring us in personally. The book is then broken into multiple parts, each a different time period around or during World War II. The timeline slides backward and forward, leading one to believe the plot too difficult to follow and to assume the book will return to the shelf half-read. Alas, you’re left with more questions and no choice but to press on, hoping for answers. The chapters show one moment, one place, one emotion. Then as soon as your heart subsumes the character’s, perspective changes, and you begin again, always longing to understand the world around you still cannot see. K. A. Hamilton-- "This book does not contain a misprint on page 39," Amazon warns, a foreshadowing of the form-bending journey to come. 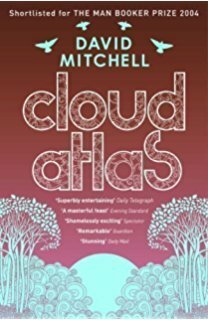 On its surface, Mitchell’s Cloud Atlas is a collection of found documents, torn apart at their middles and nestled within one another. Going deeper into the journals, films, and manuscripts, it’s a story of karma that follows a chorus of souls over six different lifetimes. Belief in reincarnation is not a prerequisite for the audience, as the cyclical themes of subjugation and justice are universally human. In fact, the premise is never explicitly stated; it only exists as a mounting sense of connectedness between the people of each era. 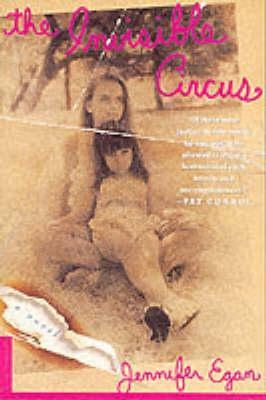 In this novel that spans period and genre, Mitchell demonstrates the subtle power of what’s left unsaid. There is an electric urgency to the message, and a call to action that is impossible to set aside when the book is done. It seems like every modern artist has their own cautionary tale about screen time. I don’t mind indulging in a little daily distraction, but the near-manifestation of it, the possibility that my procrastination could show up in a corrugated cardboard box was frightening to me. So I hit the “back” button to retrace my footsteps. I found myself on Amazon’s “Interesting Finds” page, a shopping-meets-Pinterest-style collection of curated goods. I must have lost myself in the spinning of the mouse wheel, because the scroll bar was the size of a pea. As I ascended the page, a stream of material goods flowed by without description, even defying description. It struck me that this wasn't stuff that a person could ever truly need, like a pack of underwear or a replacement cutting board. This was the stuff you bought for your quirky co-worker, or the family member who already has it all. When I reached the top of the page, a friendly dialog box invited me to “heart the things you love.” A scatter of gray, heart-shaped icons served as evidence that I had indeed made my own affectionate marks. But in my defense, in a stock white world with zero sense of scale, anything seems possible. Including the idea that you might love a plastic taco holder shaped like an extinct ornithischian. That was where I ended my investigation, closing the tab and getting up to do anything that I could deem more wholesome than “being on the internet.” And yet, I felt a lingering connection to my hearted stuff. The great retailers are collectors of behavioral data. Sales motivations aside, they know something about each of us, and about all of us. When you think about it, what more is this collection of “stuff” than a photomontage of our Ids? Here is what Amazon seems to make of me: I like cats, and to a slightly lesser degree, dogs. I like plants, but I really like tiny plants that come with minimal dirt. I seek the kind of Zen that I can put on display, preferably with an infusion of technology. I like to think I have time to knit. I enjoy irony with my coffee. I’m nostalgic for my horse/dinosaur/fantasy days. And I still dream of space. I'm proud to say that I haven't caved to any of these purchases… yet (except for the cat mug I bought for my quirky co-worker). But there is a sense of inevitability about it all. The things that I’ve “loved” continue to dog my online travels, targeting me from places where ad blockers have no sway. I know the internet is shaping me even as I’m shaping it back, nourishing its needs with indicators of my own. It’s harmless and it’s not. Like pennies dropped into a well, you never really shake the wish.